The Perth Mint is one of the best known precious metals mints and refineries in the world. The mint and refinery facilities are both situated in the city of Perth in Western Australia and are fully owned by the Government of Western Australia. Similar to the Royal Canadian Mint, it is important to remember that the Perth Mint is both a refinery and a mint. The overall Perth Mint group refines gold and silver mined in Australia and the surrounding region, refines recycled gold, and produces a series of investment grade bullion coins, as well as proof, commemorative and numismatic coins. It also manufactures coin blanks for mints in other countries. The group also offers precious metals investment products such as gold certificates, precious metals storage facilities, and runs tours of the mint facility that are open to the public. Many of Australia’s principal cities owe their origins to gold rushes during the latter half of the 1800s when Australia consisted of a series of colonies and provinces within the British Empire, and when gold currency circulated as part of the Empire’s gold standard. The first waves of gold rushes in Australia occurred in New South Wales and Victoria in the 1850s, leading to the establishment of branch mints of the Royal Mint of London in Sydney in 1855 and Melbourne in 1872, both of which manufactured gold Sovereigns. Similarly, the Perth Mint owes its origins to the now legendary discovery of major gold deposits at Western Australia’s Coolgardie in 1892 and Kalgoorie in 1893 (both located about 600kms east of Perth) and the region’s subsequent gold boom. This led to the Perth Mint opening in June 1899 as a branch mint of the Royal Mint of London. Like the Sydney and Melbourne Mints, the Perth Mint also produced gold Sovereigns, an activity that continued until 1931. The Perth Mint (mint and refinery) remained under British Government control until 1970 at which point ownership transferred to the Government of Western Australia and the mint and refinery became known as the “Western Australian Mint”. In 1986, the Perth Mint established a separate marketing company called GoldCorp Australia in order to redevelop the Mint and to market the Mint’s newly launched Government-backed bullion coin program internationally. In June 1988, the Government of Western Australia created a new holding company called Gold Corporation, at which point both Western Australian Mint and GoldCorp Australia became fully owned subsidiaries of Gold Corporation. Gold Corporation was created via the Gold Corporation Act 1987 . This Act established the Mint’s official bullion coin program as well as facilitating the Mint’s re-organisation. The Mint’s refinery has its own distinct history. Up until 1989, the Perth Mint’s refinery was located within the Mint’s headquarters facility on Hay Street, however in 1989, the Mint moved to a newly built larger refinery which is located beside Perth International airport. Note that in 1988, Perth Mint opened a second small refinery in the gold mining district of Kalgoorlie, which traded as ‘Australian Gold Refineries’, but this closed again in 1995. In 1998, ‘Western Australian Mint’ and Golden West Refining Corp (located in Kewdale a few miles east of Perth) entered a 50-50 joint venture called Australian Gold Refineries (AGR) to which the Perth Mint transferred all of its precious metals refining and production operations. Golden West was established in 1987, and from 1989 – 1995 it was a subsidiary of N.M. Rothschild & Sons (Australia) Ltd, after which it was owned by Harringtons Metallurgists of Victoria. In 2001, Golden West sold its share in AGR to Australian Gold Alliance Ltd, which was controlled by US gold miner Newmont mining. In 2002, AGR merged with Johnson Matthey’s Australia and New Zealand based precious metals refining operations resulting in a new entity called AGR Matthey. In 2010, the Perth Mint took full ownership of AGR Matthey and all of its refining operations and assets. Therefore, the Perth Mint’s current refining operations technically comprise the assets of three historic Australian gold refining companies. Western Australia is a state within the Commonwealth of Australia. The Government of Western Australia owns 100% of the holding company Gold Corporation. In turn, Gold Corporation owns 100% of Western Australian Mint and 100% of GoldCorp Australia. All three of these companies are registered as “State Government” entities, with a registered location of 310 Hay St, East Perth, WA, 6004. “The Perth Mint” is a trading name for Gold Corporation, but on a practical level, most of the activities of both the “Western Australian Mint” and “Goldcorp Australia” fall under the name “The Perth Mint”. “The Perth Mint” runs the precious metals refineries, produces investment grade gold and silver bars, manufacturers precious metals blanks, manufactures bullion coins, and makes proof, collector and numismatic coins. Gold Corporation, the holding company, controls the Perth Mint Depository (which manages precious metal linked investment products). The entire group (Gold Corporation / Perth Mint) is operated on a commercial basis and is self-funding. 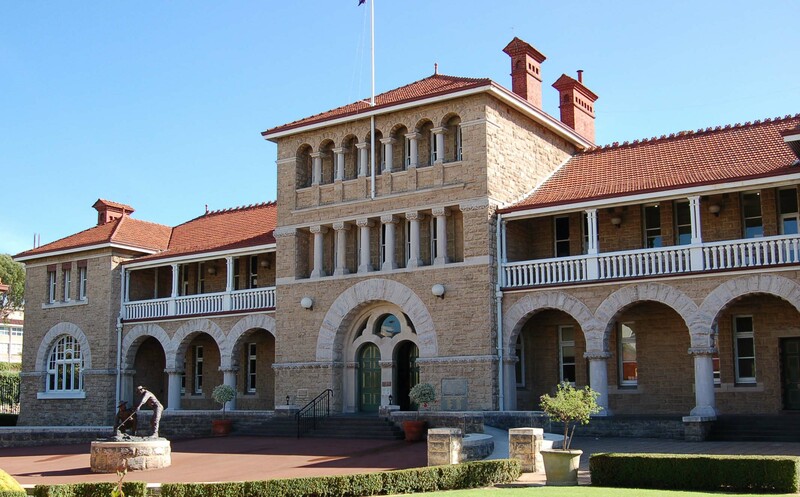 The Perth Mint also pays annual dividends to the Government of Western Australia. In 2015, the group generated revenues of AU$ $6.61 billion, equivalent to approximately US$ 4.97 billion at an average 2015 exchange rate of 1.331 (USD/AUD). The Perth Mint is the officially appointed producer of the Australian government’s “Australian Bullion Coin Program”. This bullion coin program currently consists of 4 series of precious metals coins featuring well-known Australian wildlife, and a fifth series portraying the animals from the Chinese lunar calendar. Two of the coins, the Kangaroo and Lunar are issued in gold. Four of the coins, the Kookaburra, Koala, Kangaroo and Lunar are issued in silver, and one coin, the Platypus is produced in platinum. The Australian Kangaroo gold bullion coin was first issued in 1987. Currently it is produced in the following denominations: 1 oz, ½ oz, ¼ oz, 1/10 oz, and also as a 1 kg coin. The 1 oz and 1 kg coins have unlimited mintages, the other denominations have mintage limits. The Australian Silver Kangaroo bullion coinwas launched in 2015. It is the first 99.99% silver bullion coin produced by the Perth Mint and is only issued in the 1 oz denomination, and has no mintage limit. The Australian Kookaburra silver bullion coin was launched in 1990, and has a 99.9% silver purity. The Australian Koala silver bullion coin series was launched in 2007, and is produced in four denominations, 1 oz, 1/2 oz, 10 oz and 1 kg. It is produced from 99.9% pure silver. The Australian Lunar gold bullion series and Australian Lunar silver bullion series were both launched in 2008. With one design launched each year, there have been 9 designs in total since 2008. The Lunar gold bullion coin is produced from 99.99% pure gold and comes in 8 denominations, namely 1/20 oz, 1/10 oz, 1/4 oz, 1/2 oz, 1 oz, 2 oz, 10 oz and 1 kilo coins. The Perth Mint’s Lunar silver bullion coins are issued in 7 denominations of 1/2 oz, 1 oz, 2 oz, 5 oz, 10 oz, 1 kg, and 10 kg. The 2016 gold and silver Lunars both features a Year of the Monkey design. Gold and silver Lunar coins have no mintage limits except the 10kg silver coin, and the 1 oz gold and silver coins. The Australian Platypus platinum bullion coin is a 1 oz coin made from 99.95% pure platinum. It was first launched in 2011. The Perth Mint defines unlimited mintage coins as those that “may be sold in unlimited quantities and for an unlimited period of time”. Sometimes, the Mint will place a subsequent mintage limit on a bullion coin that was previously of unlimited mintage, and mintages vary year by year. The Perth Mint’s production statistics for its bullion coin program can be seen on the Mint’s website. In addition to the above range of bullion coins, the Perth Mint’s refinery produces a large range of gold and silver bullion bars. The Mint’s Treasury operation is a key area of the group since it sources and buys metals on the market for processing by the refinery, as well as sells and distributes larger bars (down to 100 grams for gold and 1000 ozs for silver) to financial institutions and other wholesale customers. Some of the largest destinations for the refinery’s gold bars in 2015 were China and India for kilo bars and 100 gram bars, and London for large 400 oz good delivery bars. The Treasury also provides value-added services to the mining industry in the form pricing services and location swaps. The refinery’s silver output also supplies a lot of silver to the Perth Mint itself for use in silver coin and silver blank (coin) production. The Perth Mint offers retail buyers of its bullion coins and bars various ways in which to transact, depending on country of residence. The Mint has a retail shop in its headquarters building in Perth which sells bullion coins and bars. Residents of Australia and various countries in Asia can order precious metals on-line for delivery using a Perth Mint bullion website. The Mint also supplies a number of authorised distributors in various countries. The Mint also offers a structured product called PMGOLD which trades on the Australian Stock Exchange (ASX). PMGOLD is structured as an undated American call option for delivery of gold by the Perth Mint, and each option entitles the holder to 1/100 oz of gold. Exercise can be in multiples of 100 options, i.e. 1 troy ounce of gold. The product began trading on the ASX on 29 December 2010. In November 2015, the Perth Mint and the Australian Stock Exchange announced that they had agreed to jointly developing an unallocated gold futures product that will trade on the ASX. Physical settlement is possible and the Perth Mint vault will be the exclusive vault for settlement purposes. This product is expected to be launched during Q1 2017. As the Perth Mint is a large working refinery and mint, it maintains storage and vaulting facilities which it claims are “the most extensive vaulting facilities in the southern hemisphere”. As well as storing the precious metals used in its entire production cycle in the mint and refinery, the Perth Mint also offers customers various storage services. These storage services include the Perth Mint Depository Program (PMDP) for larger account holders, a Depository Online program for smaller accounts, and a Perth Mint Certificate Program (PMCP). All 3 programs allow participants to hold allocated gold and silver, pool allocated silver, and unallocated gold and platinum. The Perth Mint’s refinery is one of the best known precious metals refineries in the world and one of the largest precious metals refineries outside Switzerland. It has a gold refining capacity of over 600 tonnes per annum. The refinery is located at Horrie Miller Drive, Perth Airport complex, Western Australia 6105. This facility refines gold and silver sourced from mining operations in Australia and from other countries around Asia and Oceania. It also refines precious metals from industrial scrap and jewellery sources. The refinery is accredited to the London Bullion Market Association’s (LBMA) Good Delivery List for gold and silver, meaning that the Perth Mint’s 400oz gold bars and 1000 oz silver bars are on the LBMA’s good delivery list. The refinery’s large gold bars are also accredited for the gold contracts offered by New York’s COMEX, Japan’s TOCOM, Dubai’s DMCC, and China’s Shanghai Gold Exchange. The refinery’s logo, which contains a swan emblem is based on the fact that the Swan River runs through the city of Perth. The Perth Mint claims to refine nearly all (99%) of the gold doré produced by Australian gold mining operations. Gold for refining is also sourced from mining operations in New Zealand, Papua New Guinea, Malaysia, Thailand, Laos, the Philippines, and Fiji. Although US headquartered Newmont Mining sold out of its AGR / Perth Mint refining interests in 2010, Newmont still uses the Perth Mint to refine its Australian mined gold, such as from Kalgoorie’s Super Pit mine.